India has an extensive network of inland waterways in the form of rivers, canals, backwaters, and creeks. The total navigable length is 14,500 km, out of which about 5200 km of the river and 4000 km of canals can be used by mechanized crafts. Resident Engineer: Candidates who have completed Graduate in Civil Engineering or equivalent from a recognized Institute for IWAI Recruitment 2018. Land Acquisition Facilitator: Candidates who have completed Bachelor Degree in Social Sciences or equivalent from a recognized Institute for IWAI Recruitment 2018. 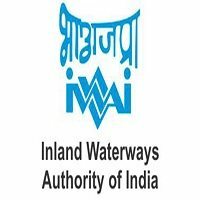 Site Engineer: Candidates who have completed Diploma in Civil Engineering or equivalent from a recognized Institute for IWAI Recruitment 2018. MIS Analyst: Candidates who have completed Bachelor Degree in Statistics/ Computer Science/Computer Application or equivalent from a recognized Institute for IWAI Recruitment 2018. Social Officer: Candidates who have completed Bachelor Degree in Social Science/ Social Work or equivalent from a recognized Institute for IWAI Recruitment 2018. Accountant: Candidates who have completed Graduate in Commerce or CA Intermediate Pass with knowledge of Tally/other accounting software or equivalent from a recognized Institute for IWAI Recruitment 2018. Anganwadi Councillor (Female): Candidates who have completed 12th pass or equivalent from a recognized Institute for IWAI Recruitment 2018. Community Facilitator: Candidates who have completed 12th, Graduate or equivalent from a recognized Institute for IWAI Recruitment 2018. Data Entry Operator: Candidates who have completed Graduation or equivalent from a recognized Institute for IWAI Recruitment 2018. Eligible & Interested candidates can download the Notification form on the Official website page at www.iwai.nic.in IWAI Recruitment 2018.